Submitted photo Lanco, with special guest Jordan Davis, will perform at the Greene County Fair beginning 7 p.m. Tuesday, July 31. Purchase tickets now at greenecountyfairgrounds.com. 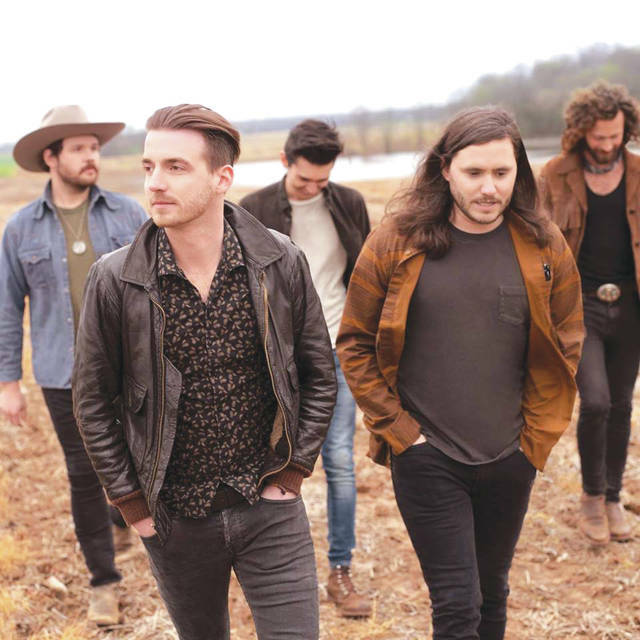 XENIA — Nashville-Tennessee based Lanco will take the stage and perform their own country tunes alongside special guest Jordan Davis beginning 7 p.m. Tuesday, July 31. They were nominated for two Academy of Country Music Awards for the New Vocal Duo or Group of the Year award as well as the Vocal Group of the Year; “Greatest Love Story” was nominated earlier this year for the CMT Music Awards Group Video of the Year and Breakthrough Video of the Year. Tickets are still available. Grandstand seats are $25 while track seating is $30. Fair admission is included in ticket costs and are currently on sale at www.greenecountyfairgrounds.com. Additional fair entertainment activities include a calf scramble scheduled for 7 p.m. Sunday, Aug. 29. The scramble will start approximately 7:45 p.m. The kiddie calf scramble sign up will take place 1-4 p.m. in the shelter across from the cattlemen’s concession trailer. The SMASH IT Demo Derby will continue the fair entertainment beginning 8 p.m. Monday, July 30. Individuals can sit in the grandstand during the event for $5 or in the infield for $15. The horses will take off and fair attendees will have the opportunity to cheer on their favorite equine and driver during the fair’s annual harness races beginning 6:30 p.m. Wednesday, Aug. 1 and Thursday, Aug. 2. The OSTPA tractor pull is scheduled for 7 p.m. Friday, Aug. 3. Grandstand seats are $5 while infield seats are $10. ATV/Truck drag races will take place beginning 6 p.m. Saturday, Aug. 4; practice will begin at 4 p.m. Attendees can watch from the grandstands for $5 or take a seat in the infield for $10. https://www.fairborndailyherald.com/wp-content/uploads/sites/50/2018/07/web1_lancooo.jpgSubmitted photo Lanco, with special guest Jordan Davis, will perform at the Greene County Fair beginning 7 p.m. Tuesday, July 31. Purchase tickets now at greenecountyfairgrounds.com.